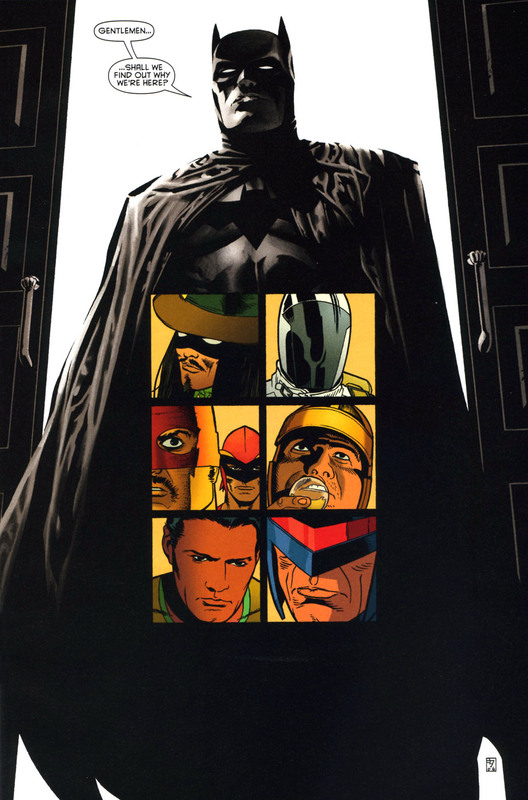 Grant Morrison truly kneels at the altar of Batman. Morrison’s opening salvo in his epic seven-year contribution to the Batman mythos is collected in “Batman: Batman and Son”, revealing a rich tapestry of storytelling brimming over with themes of family, history, and mythology. 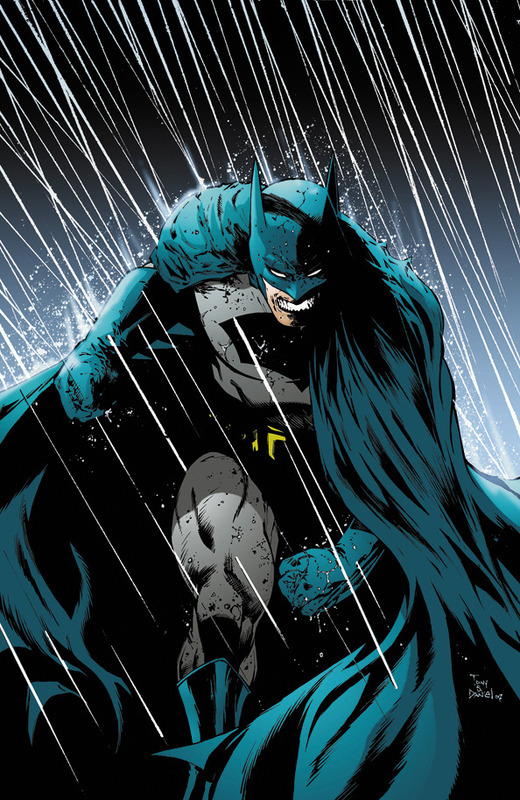 Morrison’s Batman blossoms on the page and becomes real, demonstrating why Bruce Wayne has remained vital and a part of a greater mythology for several decades. He’s a character with a rich history throughout the comic book ages and Morrison embraces almost every iteration of Batman throughout time. Even the wacky stories of the 1950s are incorporated within his tale in a way that is new, yet reverential to what has come before. The elements of Batman’s innate character are all here within these pages as well: his keen intellect, mastery of various physical fighting skills, and a mind that is always one stop ahead of every human being. The dark knight detective has heart as well, caring for a family he has nurtured (to the best of his ability). One of the biggest twists (among many) is that the newest member of this family is related by blood. Longtime Batman fans will become giddy while reading this book. Morrison knows his Bat-lore, weaving in story elements from classic Bat-tales of old. However, one can still read this book and never have read a Batman comic book in their entire life. As a result of Morrison’s genius, new readers will be goaded into delving into the Caped Crusader’s history. There is a collection of classic (as well as some long-forgotten) comics that was released called “Batman: The Black Casebook” (which is given that name for a reason which this reviewer will not divulge) that inspired Morrison’s years-long Bat-epic. Characters of old, such as the Batmen of all Nations, are re-imagined by Morrison to brilliant effect. Classic stories such as “Robin Dies at Dawn” from “Batman” #156 (1963) inspire Morrison and are re-invented throughout this beginning of his Bat-opus. There’s one brilliant issue within “Batman and Son” that is all prose, with unique and evocative art by John Van Fleet. I don’t know if Morrison was inspired by this particular comic book, but in “DC Special Series” #15 (1978), writer Denny O’Neil wrote a prose story with art by W.M. Rogers. There are very loose elements from this story within Morrison’s yarn, yet the Joker stars in the modern day prose issue. The Joker ruminates on “all the other Jokers he’s been”, with the theme of history and evolution prevalent here and throughout the book. By killing his old henchmen, Joker has evolved into the “Thin White Duke of Death” (a splendid allusion to the ever-evolving singer David Bowie). Batman, it seems, is not the only one who has evolved with the times. “Batman” 675 cover by Tony S. Daniel. Throughout this hefty volume, Morrison deals with the idea of family when Batman’s son, Damian, is unveiled to Bruce by Damian’s mother, Talia al Ghul. Trained by the League of Assassins to be a highly skilled killer, Damian, in his first meeting with his father, says, “Father. I imagined you taller.” In a gorgeous splash page, Andy Kubert depicts Damian with a warrior’s posture, light shining on father and son. When he gets to the Batcave, Morrison conveys Damian’s need for a nurturing father figure. Despite the rebelliousness and violent lashing out, this is a boy who needs love. At one point, Bruce bellows at his whirlwind of a son with anger, saying, “Patience is a virtue!” Damian meekly answers, “Yes, father.” Kubert skillfully portrays Damian as a ten-year-old boy, having his face and eyes look downward with shame. It seems as if a forceful hand is what he needs, instead of being unleashed to do as he wishes (which is the way his mother raised him, as he so pointedly tells Bruce). He has been thrown into a foreign environment, with people who are actually looking out for him instead of using him as an inhuman weapon. After being chastised for beating Tim Drake, Damian screams, “It’s how I was taught!” Damian needs guidance, and the journey toward redemption seems unlikely, yet fought desperately by a boy clawing his way out of the pit that contains Talia’s “nurturing” parenting skills. Bruce Wayne’s greatest fear is explored in great depth through the backdrop of intrigue and mystery. He is scared of losing his family and especially his “children”. Despite his love for this “sidekick” family, he doesn’t allow himself to get close to them. Batman is told that, “One of man’s most primitive fears is loneliness.” Although he loves Tim Drake (Robin), Bruce keeps him, “at arm’s length. Scared to get too close in case I lose him, too…like the others. What happened to me? When did I die?” Tony S. Daniel hauntingly portrays a worn down and contemplative Batman sitting among the trophy cases of past Robin outfits. One can see the loneliness of a man who will not allow himself happiness. When did he die? Probably when his innocence was destroyed as he sat kneeling as a child near his murdered parents. Death and rebirth are themes extremely prevalent in Morrison’s writing, with this scene, among many, being just one example of the writer’s interpretation of his Batman. Morrison, throughout his epic, lays bare the psyche of a tortured man who must wear a mask in order to hide feelings that could eventually overwhelm and even “kill” him. Bruce’s girlfriend Jezebel Jet even tells him that all she ever gets to see is a “mask of a man”. Bruce Wayne may wear a mask, but that mask is what keeps him alive. For a man who craves control over his own life, Morrison really throws a wrench in the life of Bruce Wayne. At one point, Batman’s superior detective skills are lauded. He responds by saying, “As Batman, I have to be prepared for all kinds of eventualities”. Morrison twists Batman’s world inside out, placing him in situations that were never in the realm of “eventualities” that Batman thought possible. He wonders if there is an “ultimate villain out there, unseen?”, a “king of crime”. Besides fear of losing his loved ones is a fear of losing control. Could he prepare himself for that “ultimate villain” he asks himself and “would I have the resources to deal with it?” Batman is used to always winning and surviving another day. 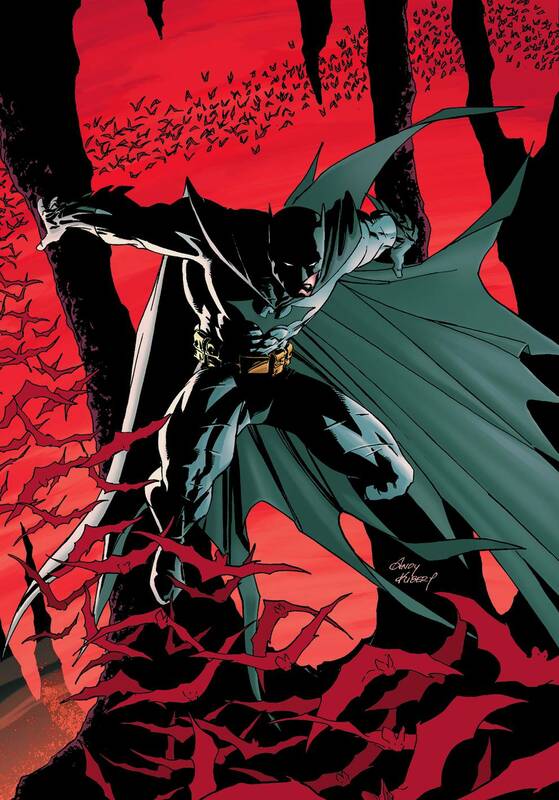 Morrison and the artists expertly communicate disorientation and confusion, especially toward the end of the book, and the reader is able to see the fear and confusion through Batman’s eyes. Batman’s powerful entrance by J.H. Williams III. Batman’s journey would not be the same without the contribution of artists who know exactly how to relate Morrison’s powerful story and its many twists and turns. Character, atmosphere, and unique styles blend together without taking away from the story or jarring the reader’s sensibility. Each artist brings a cinematic style that melds perfectly with Morrison’s writing. Andy Kubert, in a clever fight scene at an art gallery, incorporates the art within the fight choreography to hilarious effect. 1960s Pop art is used as “sound effects” in the background of many panels, such as when Batman punches a Man-Bat and a piece of art with a woman crying “Ouch!” hangs nearby. J.H. Williams III uses splash pages that add atmosphere to the mystery that consumes Batman and his allies on John Mayhew’s island. When Batman enters the room, the contrast with the “Club of Heroes” is jarring. The black, white, and gray tones of Batman filling the entire page throw an air of superiority over the colorful heroes in the six panels placed in the middle of the page. A large black glove, appropriately, insinuates itself into the art occasionally. One particularly gorgeous four-page fight scene occurs in a large bat that spreads from page to page, with a black arm and hand punching its way through the panels. Tony S. Daniel’s use of splash pages is especially adept at portraying Batman as a man on a mission, as when he jumps directly toward the Bat-signal in an iconic pose that should be recognizable to many a Bat-lover. Morrison, along with the superb artists who assist with the storytelling, express the power of Batman. He is a character of reinvention who can fit snugly within any genre (even psychedelic and far-out stories) and retain that essence of who he is as a man. Bruce Wayne takes physical and mental beatings in this book, yet survives because he is a superior human. He is able to rally others to his side during times of great duress because he remains calm and vigilant. That duality of being human, yet “superhuman” at the same time is a trait that Morrison brilliantly conveys in “Batman: Batman and Son”, as well as the other collections that continue this Bat-saga. All the ages of comic book history are represented here: Golden, Silver, Bronze, and Modern. By winding all the ages together so naturally, Morrison has created a Batman for a new age. His Batman is a warrior, a father, a partner, a detective, a human, and a superhuman. Collects “Batman” #655-658, 663-669, and 672-675.